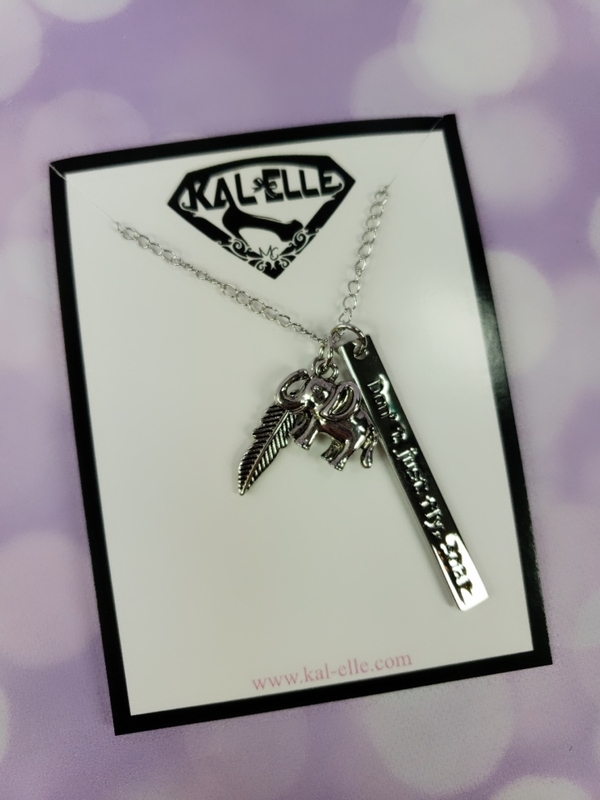 Kal-Elle Fandom Monthly is a fandom inspired box that sends 4-7 pieces of hand-selected jewelry and collectibles each month. 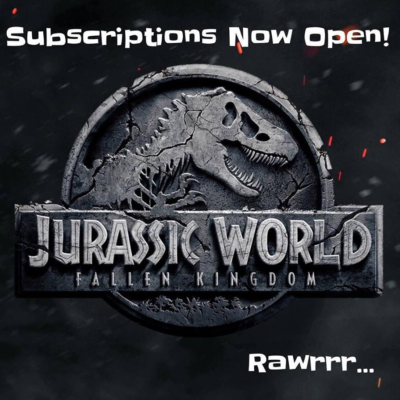 Kal-Elle announces the theme each month ahead of time so you can go in and skip if it is a fandom you just aren’t into. 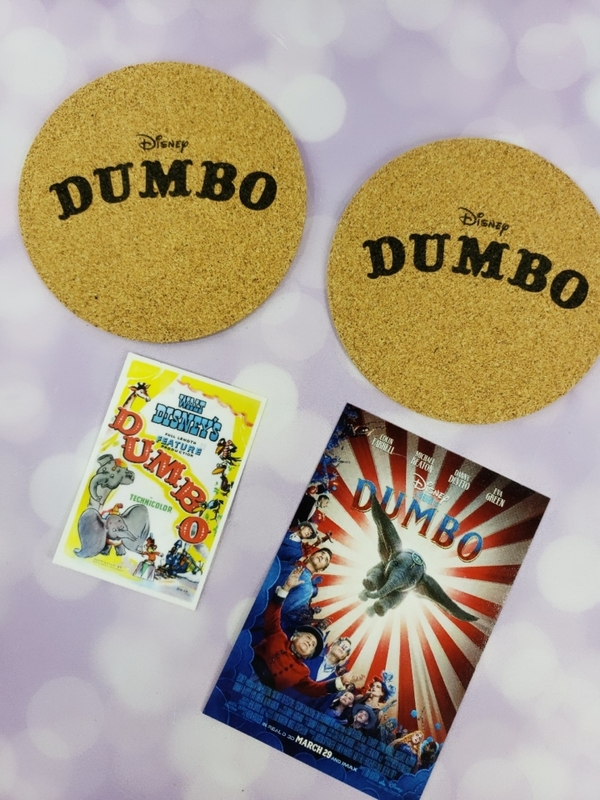 The theme for February is Dumbo! The boxes include a postcard with the information listed on one side. 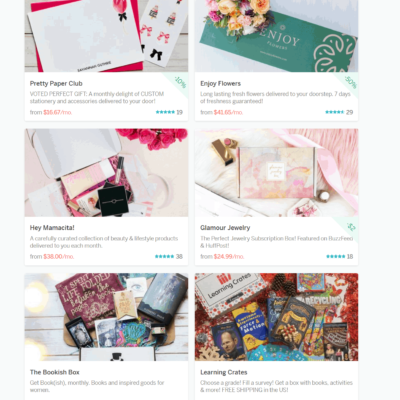 All of the items in my February Kal-Elle box! Kal- Elle is getting back on track with shipping and the packages are getting closer to the release date. Dumbo Necklace – I really like all the pieces of this necklace: the feather, the elephant and the saying. 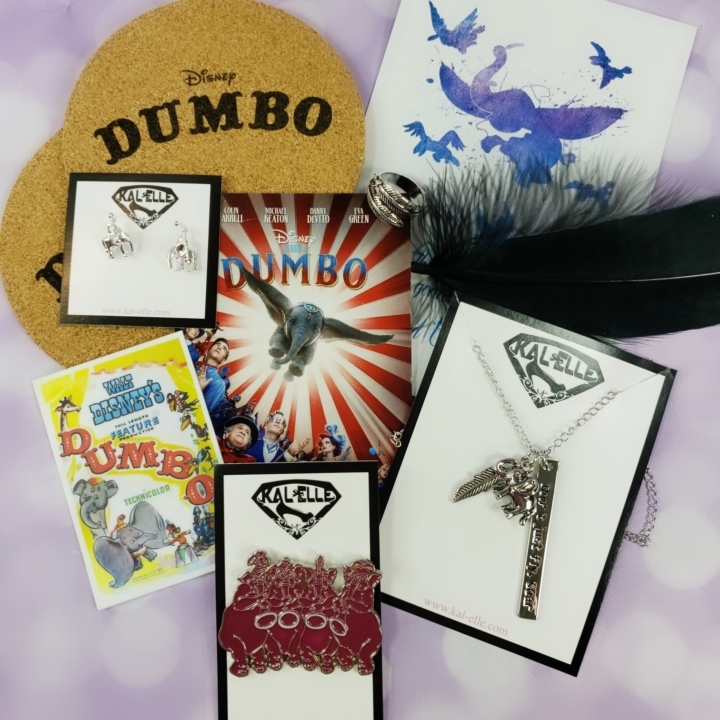 It really makes a great hanging piece and the perfect statement for my girls night out to see Dumbo! 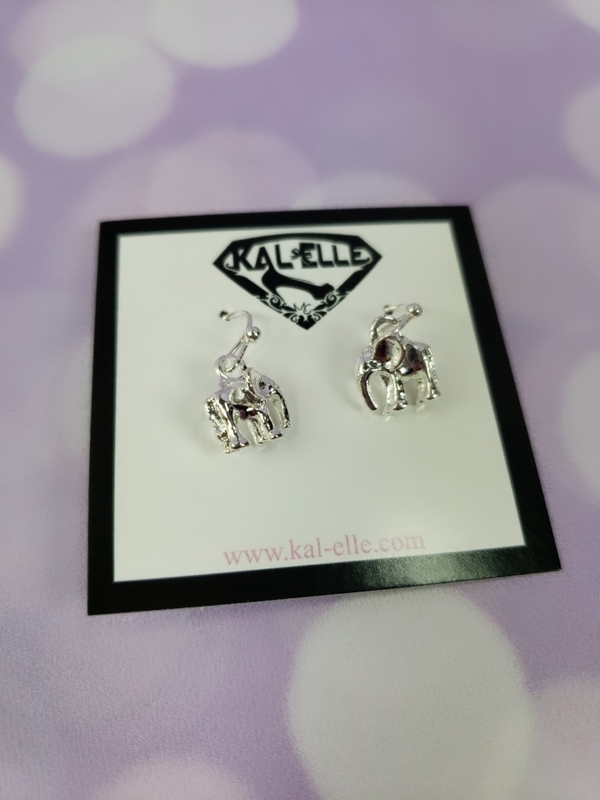 Elephant Earrings – To go with our necklace they sent some coordinating Elephant earrings. These are a good dangle without being too much or too flash. They give just a little swing as I go. 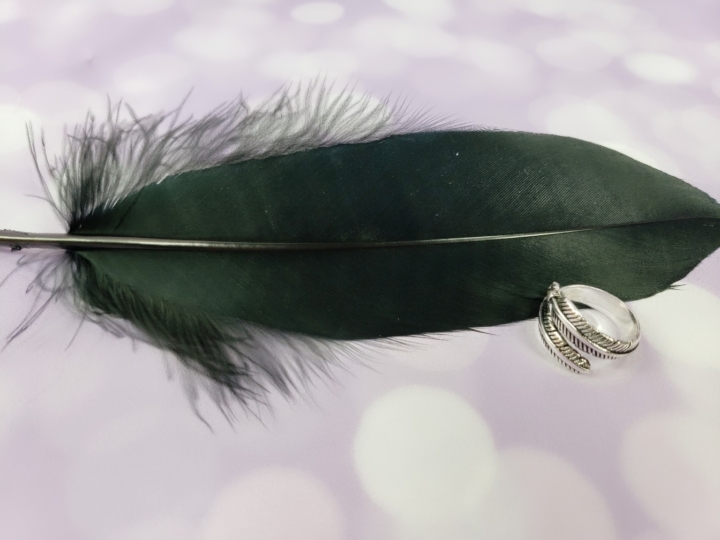 Feather Ring – I had to include the feather from the box with the feather ring. This is a piece I will wear all the time. It is simple and stunning a perfect piece to wear all the time. Exclusive Pin– Have I told you that my boys have become obsessed with pin collecting? They are all over it after our last trip to Disney. This one is already on the banner my son uses to show his pins. He thinks the pink elephants are so funny. 4×6 Art Print – Another month and another fantastic Kal-Elle Art Print. I’ve said before I love this style of print and this one is no exception. 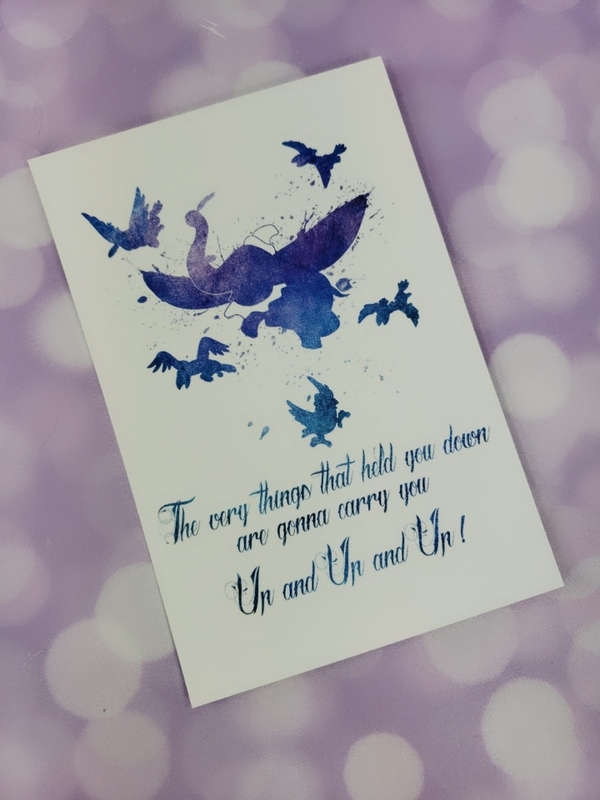 I love the saying and that they used the same splatter pattern but didn’t go with all the bring colors. It really makes the whole thing stand out. New Movie Poster Magnet – I was not expecting this on a magnet. It is super large and so bright. I’m excited to see the movie and this is really keeping it up. Original Movie Poster Sticker – How cute is this sticker. 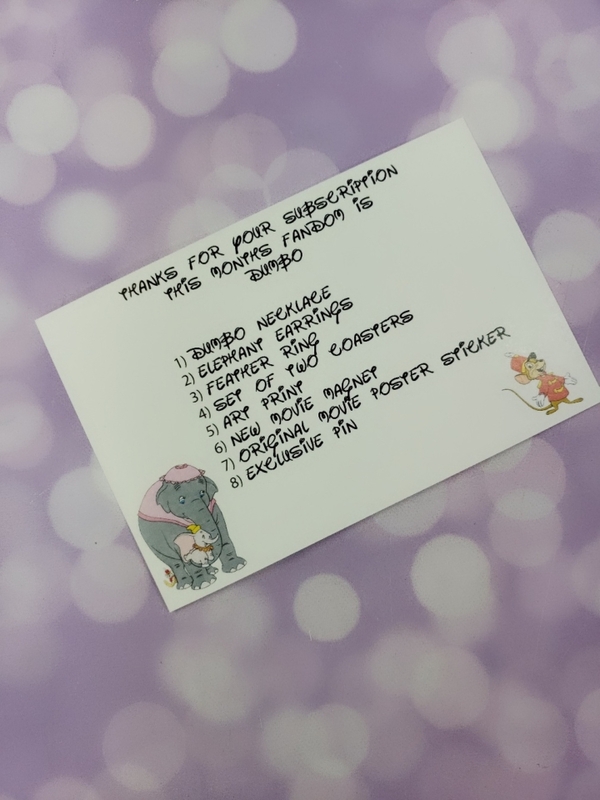 I’m going to add it to one of my scrapbook pages for the Dumbo ride from Walt Disney World. I love all the vintage feels this one gives me. Coasters – Yes! I love these. We have coasters all over my house and I really like seeing the different ones we’ve gotten in our boxes. This one is simple but totally use able. I’m also partial to the Dumbo font so seeing it daily will make me smile. Kal-Elle Fandom Monthly sent another fun box this month. I’m already excited to see the new Dumbo movie and Kal-elle really makes me want to see it more. The jewelry this month was right on point and really represents the movie without being just too much for me. The ring is my absolute favorite this month and one that I will wear all the time. Eek I’m excited just thinking about it. If you’ve been waiting to start these boxes just look at the upcoming themes! I don’t know which one I’m most excited for. 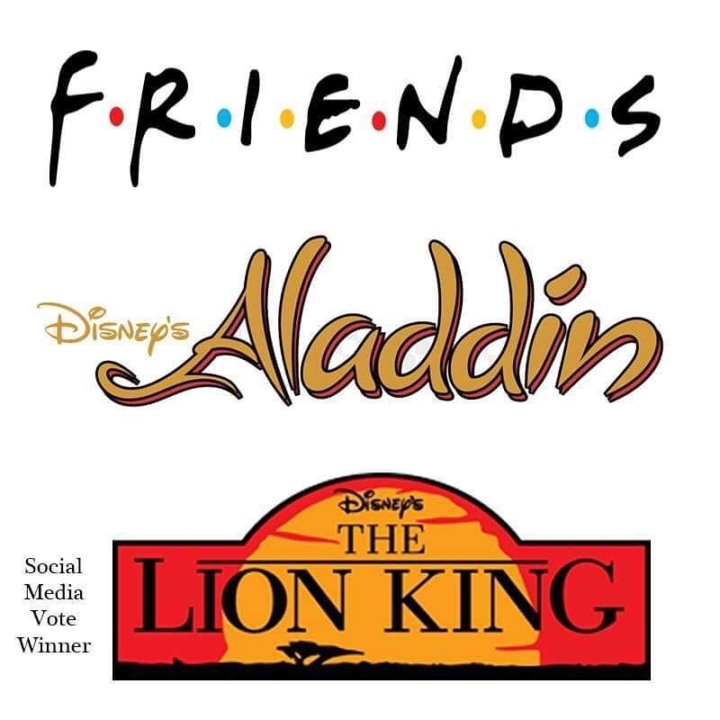 The are all some of my favorite movies and shows of all time. I can’t wait to see Kal-Elle’s take on them all. What’s your favorite item this month? Which upcoming theme are you most excited for? 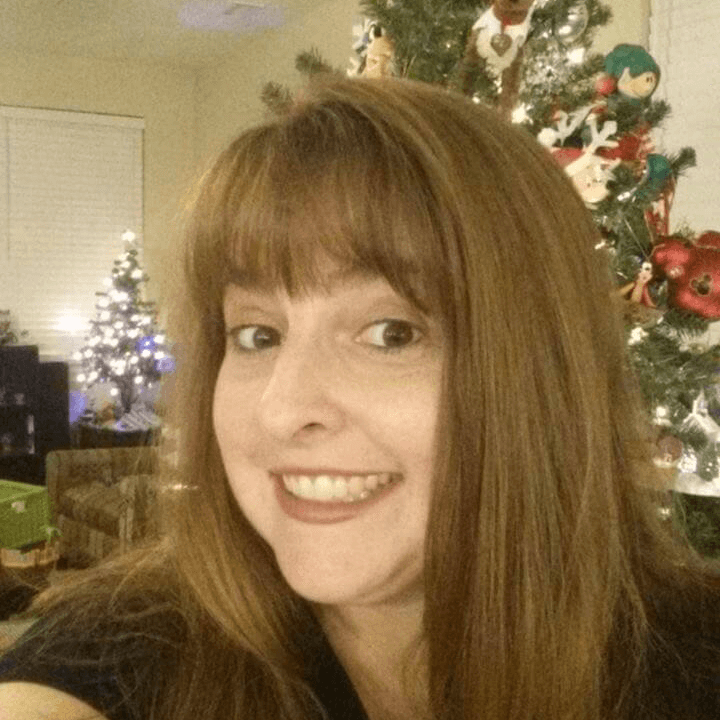 Visit Kal-Elle Fandom Monthly to subscribe or find out more! 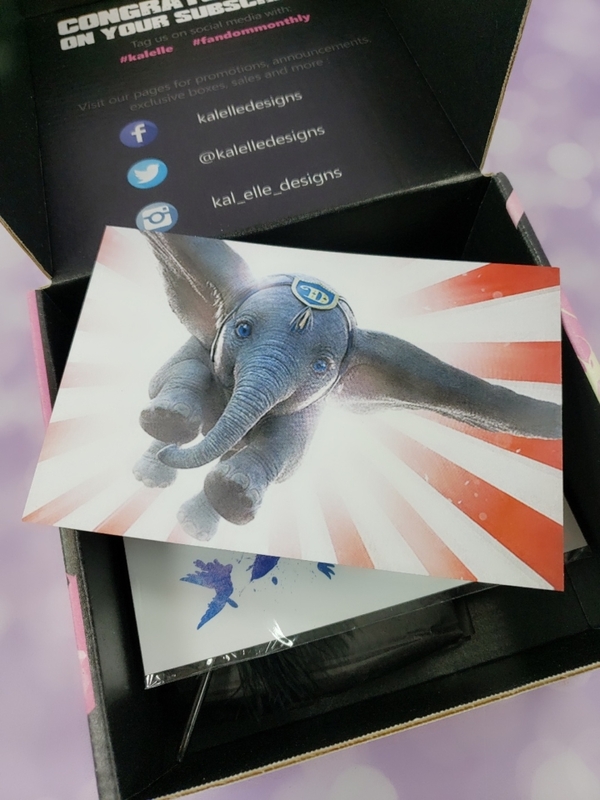 When you sign up for Kal-Elle Fandom Monthly, you will receive a box of specially hand selected high quality fandom inspired designs. Each month will have a different theme and it won't be revealed until you open that awesome box.